This is going to sound melodramatic but whenever I see someone use cash or a debit card to pay for something, I instantly feel queasy and panicked. I go between lamenting over the lost travel rewards and biting my cheek to stop an on-the-spot travel rewards consultation. I warned you it was dramatic. But, in all seriousness, my practical thoughts (usually) win out. Everyone likes to get the most from their money. No one would choose to spend more for the same exact thing they could get elsewhere for cheaper. Nor would someone throw away pennies on the dollar just for the sake of tossing money out. My point is people are or at least try to be sensible with their money. Well, if you’re one of these people and you’re someone who wants to travel more, I’m here to tell you your cash and debit card habits make reaching your travel goals even harder. If you’re a responsible spender and pay your bills on time, you can absolutely get more travel rewards from your money. So, put your cash and your debit card back in your wallet and get yourself on a path to smarter spending combined with earning travel rewards. 1. 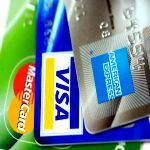 Paying with cash or a debit card does not build any credit history. Your credit score is determined by many factors like paying your bills on time, the age of your credit accounts, and how much of your available credit is actually in use. Your credit score is not at all connected to the amount of money in your checking or savings accounts. It has nothing to do with how much money you make or if you’re paid by cash or check. When you use and pay off a credit card responsibly, you build trust with that bank. Also, it’s a signal to other banks that you’re a reliable person. What does this have to do with your travel goals? As you build your credit score, you’ll be eligible to apply for credit cards with lucrative travel rewards sign-up bonuses. The bonuses are usually valuable frequent flyer miles or hotel and credit card points. These can be used for earning free flights and hotel nights. These credit cards also come with additional travel benefits like elite status at hotels, airport lounge memberships, primary insurance on car rentals, and/or a fixed travel credit to offset other travel expenses. When you pay with cash or a debit card, there’s little if any record of your spending or repayment habits for banks to see. Most banks will want to see a credit score of at least 700 to get approved for the better travel rewards credit cards. A thin credit history can mean a lower credit score which limits your ability to be approved for travel rewards credit cards. 2. You get no return value on the money leaving your wallet or bank account. When you use cash or your debit card for your bills and everyday spending, the money simply leaves never to be heard from again. Heck, you don’t even get a goodbye or pat on the back for being so financially responsible! Let’s be clear. I’m not talking about spending more than you’re able to spend and winding up in a black hole of debt. I’m referring to the money you already spend every day on everything from gas to groceries, cell phone costs to insurance, birthday gifts to movie tickets. The key is to squeeze more from the money you already spend to get value back in return. Whether you’re saving for a family vacation to the Caribbean, a romantic European escape, or an epic solo adventure in Southeast Asia, you’ll reach your travel goal faster when you make your money work harder for you. 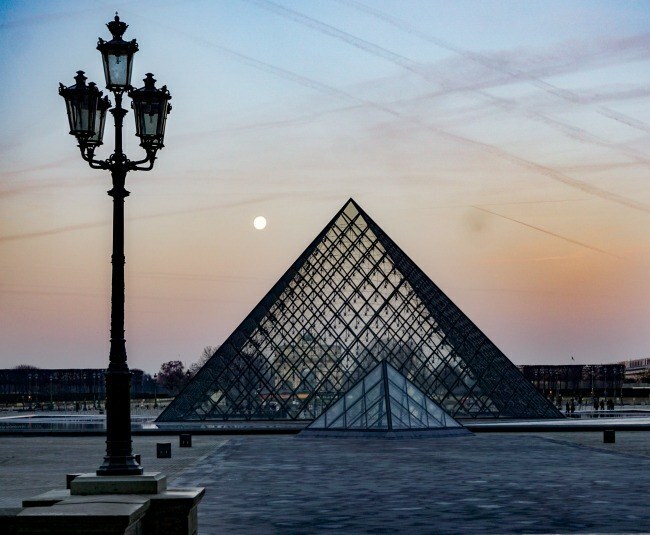 Is a visit to Paris one of your travel goals? Use a travel rewards credit card to pay for everything from auto insurance to medical expenses, gym memberships to vet costs and earn miles and points you can redeem for travel later on. Do you know how much your bills and expenses add up to over the course of 3 months? If you’re like most people, that dollar amount is in the thousands. 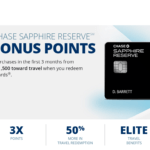 Why not use that money to meet a minimum spend and earn a travel rewards credit card sign-up bonus? These bonuses are oftentimes already enough for at least 1 round-trip domestic flight! After you earn the bonus, continue to use the credit card for your regular bills and expenses to earn even more miles and points. It’s only 25k for a domestic round trip flight on United. 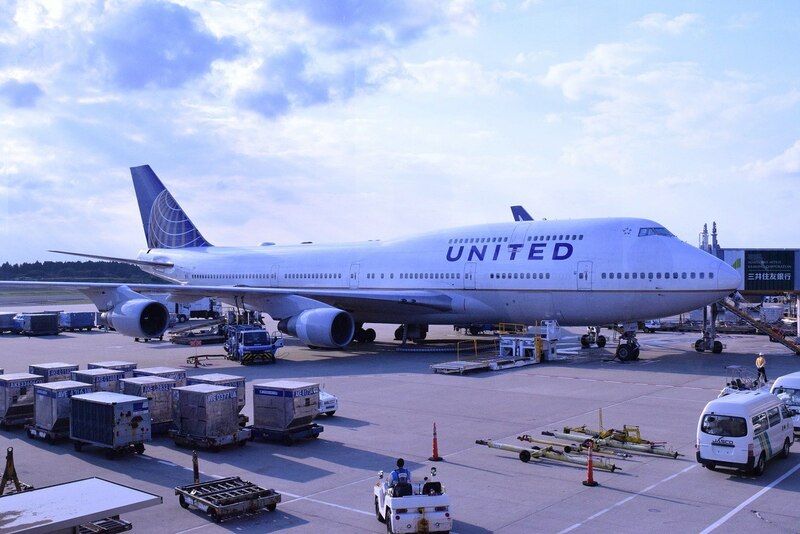 A United sign-up bonus could be 50k miles! 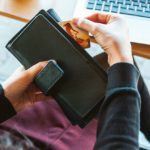 Even if you’re skeptical about the value of frequent flyer miles and hotel points, there are plenty of credit cards that offer cash back rewards you can use towards your travel goals. The point is when you use cash or a debit card, you’re not earning anything in return. You’re sending your money off into the world while you stay at home still wondering how you’ll ever afford that pristine beach or iconic European city. 3. You miss out on added value with bonus categories. To make matters worse, paying by cash or with a debit card does nothing to maximize your spending. On the other hand, travel rewards credit cards often have spending bonuses. 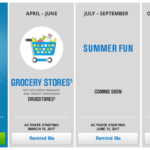 You can earn 2x-5x more for every dollar you spend in specific categories like gas, dining, or drug stores. You’re going to spend $$ on groceries. Why not maximize your travel rewards at the same time? You can earn even more miles, points and cash back rewards when you maximize bonus categories and redeem for award travel even faster. Let’s imagine you spend $100 on groceries every week. When you pay cash or with a debit card, that $100 gets the food you bought and nothing else. Use a travel rewards credit card offering 5x the points on grocery store purchases and get the food you bought plus 500 miles or points for travel or cash-back rewards. As a one-off, it may seem like a drop in the bucket, but over time, the value adds up. You don’t have to pay your monthly expenses and save for travel separately. Use a travel rewards credit card for everything and you’ll simultaneously be showing your credit trustworthiness, earning miles, points or cash-back, and maximizing your spending for added value that can be redeemed for travel rewards. 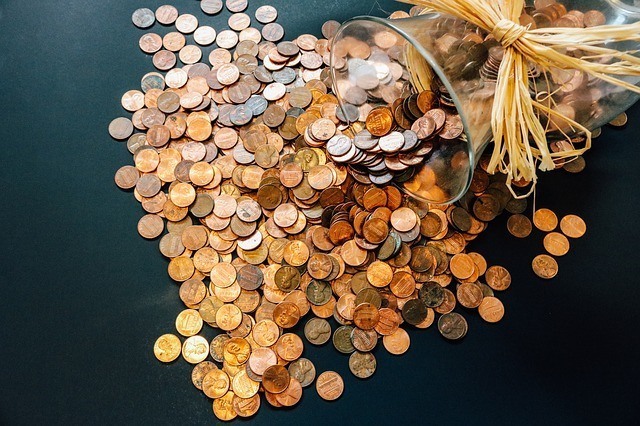 Travel coin jars are a fun way to save a little extra spending money. Earning miles and points for your everyday purchases is a lot more efficient! It all makes sense but…. 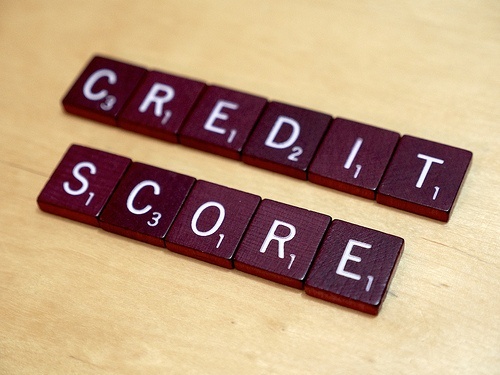 Won’t too many credit cards hurt my credit score? I’m afraid using a credit card for all my spending will only land me in a load of debt. Airline, hotel, and credit card miles and points are so confusing and overwhelming. They’re just not worth my time! Start slowly and get yourself organized. As with anything new, you want to organize and learn as much as you can. 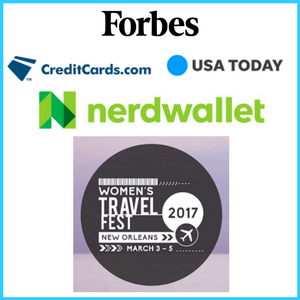 But, don’t let overwhelm, confusion and myths about travel rewards credit cards keep you from realizing your travel goals. Join the FREE 10-Day Get Organized for Travel Hacking Challenge! You’ll get 1 email a day for 10 days. Each email will have step-by-step information, free resources, and a completely doable 30 minutes or less action. You will be organized and on the path to reaching your travel goals with miles and points. You’ll get invited to join my closed travel hacking Facebook Group. You can take part in beginner miles and points discussions and get your questions answered in a super supportive community. No impatient, high and mighty travel hackers to make you feel silly for asking such a basic question! 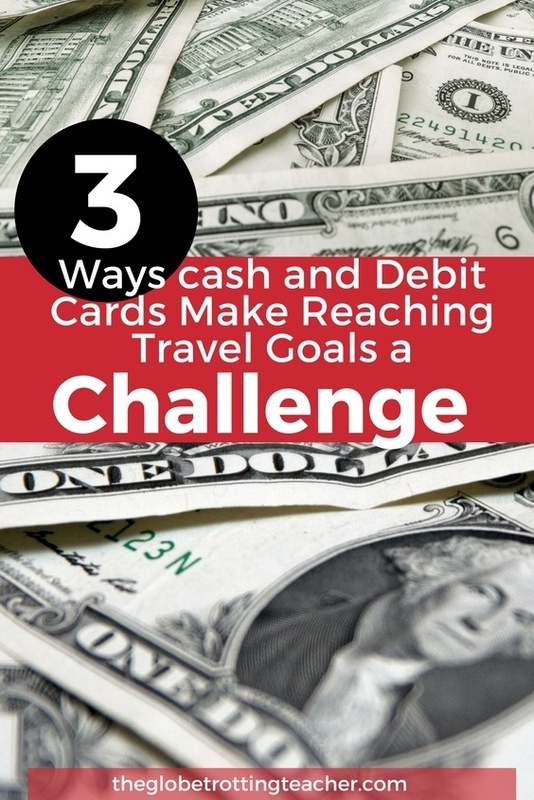 By the end of the Challenge, you’ll be organized and ready to take your first steps into the world of airline, hotel, and credit card miles and points. 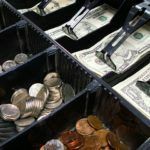 *While some of the budget and organization tips are useful for everyone, the miles and points advice will apply to readers in the U.S.
Haha so true! I bust out my credit card at every opportunity, even if I”m only buying a couple dollars worth of stuff. It all adds up! For us, I think it’s a balancing act. 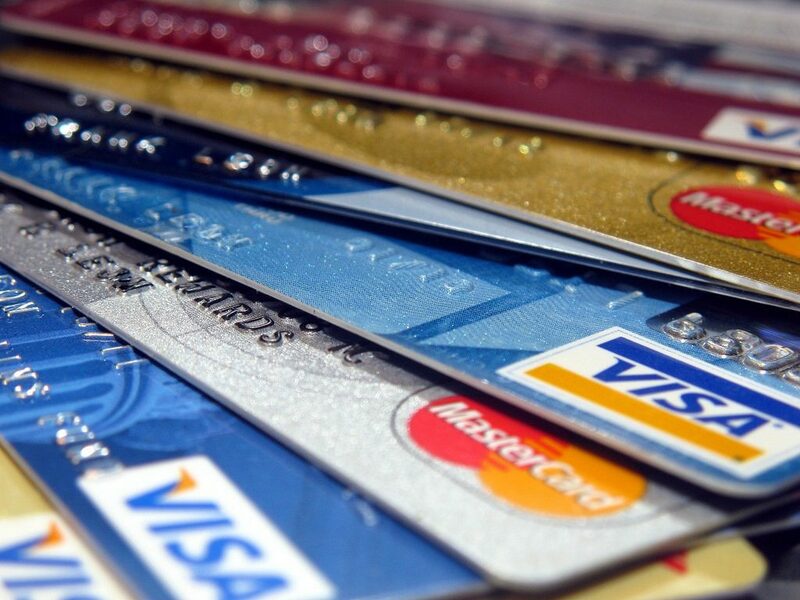 We use credit cards a fair bit, partly in order to maximise rewards, and partly because they confer a protection that debit cards do not – there are various legal obligations on the bank to cover the amount should the merchant prove to be fraudulent, or the goods don’t arrive, or are faulty. We do have some cards that reward us in travel miles, but we have some others that give a supermarket cash back service – where the value of cashback is higher than the nominal value of the reward miles, we’ll use those cards over the travel reward ones. But we do also make sure to keep out eyes open for the special offers that new cards sometimes offer, as you mentioned, and where we can earn a great benefit, and there are no charges on the card to balance that gain away, we’ll apply for that new card. Your tip for younger travellers about building up their credit rating is a good one, not one I’ve seen mentioned before. It sounds like you have a plan that works for you, Kavey, which is key to being comfortable with credit cards. Keep in mind the value of frequent flyer miles varies depending on the loyalty program and the type of redemption you use them for. I completely agree with you! 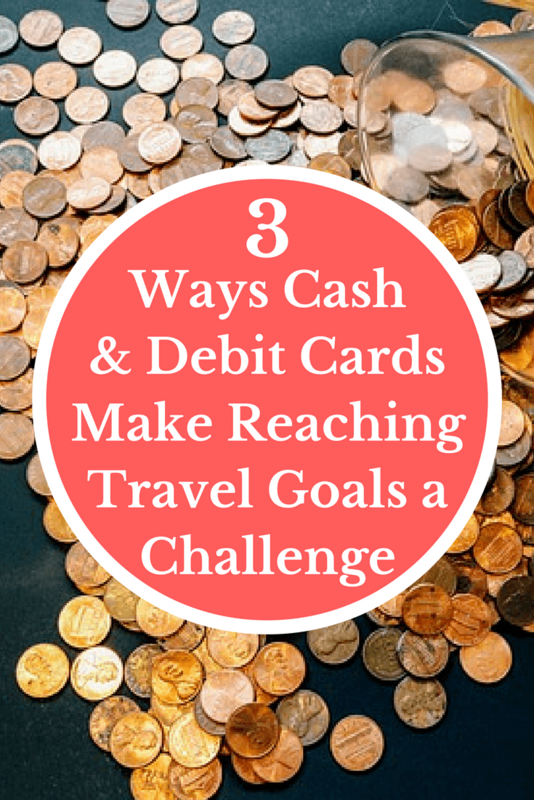 Using cards that earn you travel bonuses is so helpful in saving for trips. We are big fans of getting those sign up bonuses too 🙂 We do need to work on the category bonuses though–I always seem to forget about checking that! Thanks for the great tips! One tip for remembering, Jenna, is to only keep certain credit cards in your wallet to take advantage of time-sensitive bonuses, like those with Chase Freedom. Travel hacking seems to become more and more popular! We still have so much to learn about it! :O Thanks for your tips! Keep learning, Nat! There are so many advantages to gain. Great article, using reward cards are the way to go. There are so many bonus that people are not aware of which you brought up. We have a few different airline cards just for that reason. We have been upgraded to Pre TSA check-in which is worth the yearly fees in itself. But also the free upgrades when you reach a certain mileage limit is huge. We almost hate to cash in our points because the other perks are so good. Thanks, Nancy. That’s exactly it. So many people don’t realize the travel rewards out there. Glad you’ve been able to score some great perks! I recently met a couple in Belize who paid $15 dollars total for 3 nights stay in a resort, plus airfare! When I asked them how, they said it had everything to do with using their credit cards wisely and collecting rewards. This was really interesting to read, and now I have a better idea on how to go about it, thanks! That’s a perfect example, Annie, of the travel rewards that are out there. Glad the read was helpful. I booked two flights today using points and they are amazing and such a great value. I can’t speak highly enough about how much my credit card hacking has allowed me to take great vacations and venture to further flung destinations than I would have otherwise. I’m so excited for you, Julie! It’s such a rush to book award travel. Well-done and happy travels! I totally agree with you I always try to use my credit card when I can earn travel points and I am always on the look out for any bonuses offered. That’s really all it takes, Chrysoula. Once your aware of how to make your money work for you, the more rewards you’ll earn. Not surprising, Mansoureh. Most car rental companies don’t accept debit because there isn’t enough of a guarantee you will cover damages. Keep building that credit score. It’ll make a big difference in the long run. Really great tips here! I only started using credit cards to book trips about a year ago and love the airpoints I collect. I just wish NZ had better reward programmes! I want to say that I love your blog and usually love your posts but with this one, I have to DISAGREE with everything you posted here! lets start with #1: My Credit score is over 750 and I haven’t owned a credit card in over 10 years! I also paid off all student debts over 8 years ago. I just have a mortgage and regular utilities & cell bill that is it! As for your justification of using your card to earn points? Maybe but the ROI on points vs dollars spent is ridiculous. I guarantee I fly tons cheaper and far more than 75% of americans with credit cards by just using good research platforms than trying to redeem credit while amassing debts. Cash is still king! I have been blessed to meet 5 millionaires and none of them had credit cards and they all said that was the 1st thing they got rid of on their roads to individual success! I appreciate what you posted. I guess if you are going to follow along on the typical credit debt lifestyle that many americans live by, then you might as well get something out of it. But I did that dance and to live hand to mouth with the slight good feeling of once a year redeeming points for a small trip on southwest that would have costed $180 round trip seems hardly a good ROI for the $850 in interest you amassed over the year. For those who are playing the travel hacking game, fine. If you will spend the time and research to play it properly and get your ROI then awesome. But most people don’t or wont therefore in my humble opinion to promote it to the random 9-5 people with hopes of free travel whenever they want seems a bit irresponsible. Thanks so much for reading and sharing your opinion. It really adds to the value of this post. I agree with you about amassing debt. 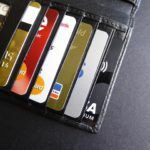 Anyone who can’t spend responsibly or who can’t pay off their credit card balances in full at the end of every month should absolutely stick with cash or no/lower interest credit cards. The interest costs will outweigh the value of the miles and points earned over time. Where I have to disagree is the ROI. Certainly, travel hackers who play the game (me) get a ton of value. I have not paid for a flight in years and have visited everything from popular European destinations to far-flung Patagonia. Yes, I am maximizing stopovers and open-jaws and squeezing every last bit of value from my miles and points. I am not a luxury traveler, but there’s no way I could have taken the trips I have taken solely on what I make. But, even those people who work a typical 9-5 and only travel 1-2x a year can benefit from a travel rewards card. Not everyone can pay their bills and save for travel simultaneously. They have to make their money work harder for them. So why not get some value back from the money spent on everyday costs like groceries and gas, even if the choice is to have a cashback rewards card. Consider using 1 debit card for what you would normally spend vs. 1 travel rewards card that is paid off every month. Sure, you might not cover RT airfare for your family of 4 but if 2 of the 4 can fly on miles, that makes a big difference in the bottom line. In a lot of cases, it means taking the trip or not. The same spending on a debit card yields no value back unless, of course, you’re financially able to set additional money aside to plan and pay for your travels.